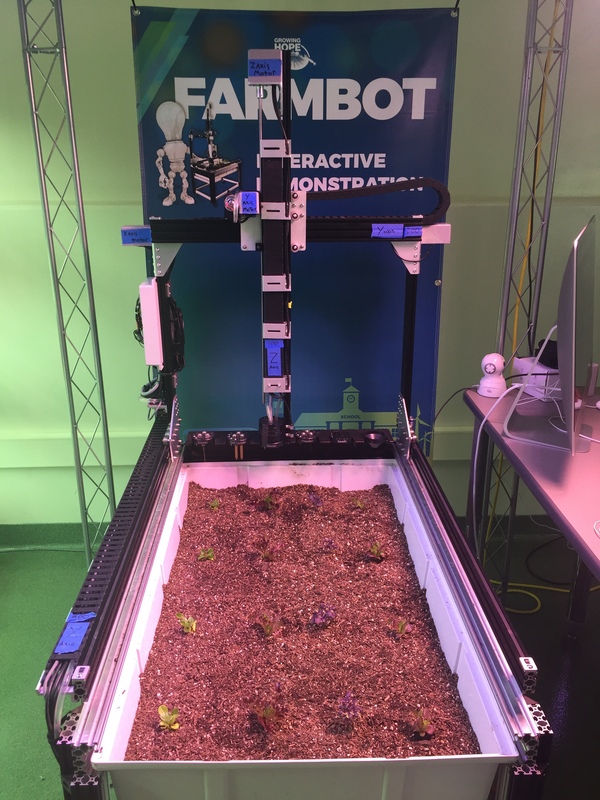 Hello - I’d like to install the Farmbot in the back of a classroom using only artificial light. Is this possible? How high would the lights have to be above the soil to clear the machine? Do you think 2 ceramic metal halide lights would work for a 4’ x 8’ bed? If yes, do you think two 3K bulbs in each of the units or just one 3k bulb in each? I’m hoping to grow herbs and vegetables. The room has AC so I don’t think it would get too hot. Yes, what you’re describing is totally possible and it’s been done before. 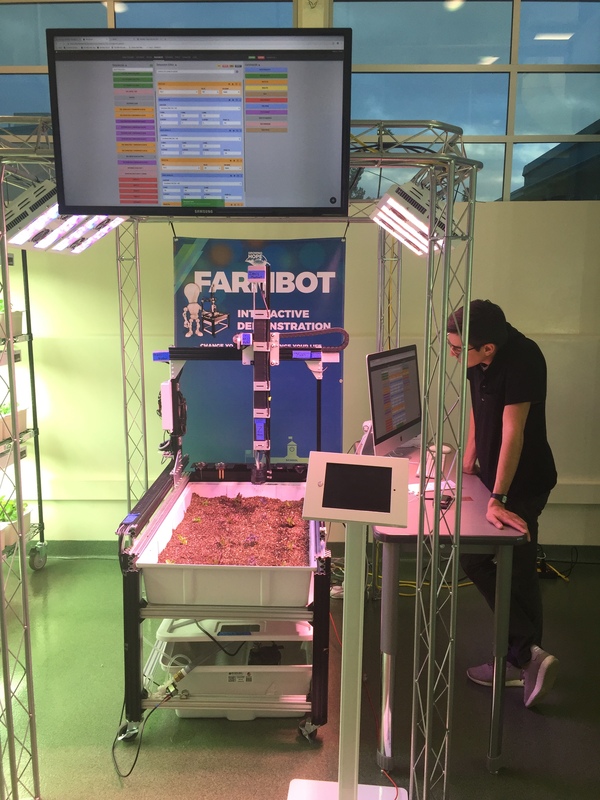 Farmbot is able to control lights and it’s easy to set up a timer. Here’s a photo of the setup at San Andreas High School in Highland, CA at the Growing Hope Project. The lights in the photo are LED lights so they don’t produce much heat and they’re Red, Green, Blue adjustable so you can control the spectrum of light that your plants receive. 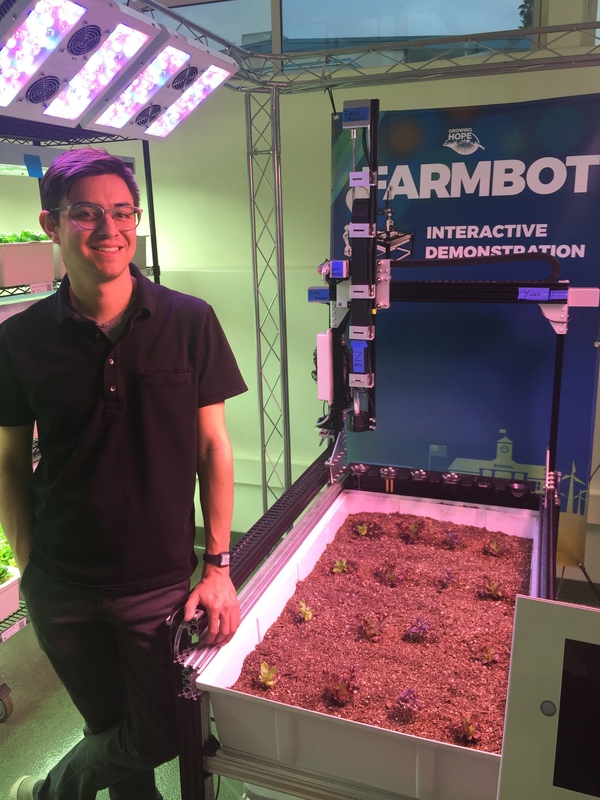 @Cjaramillogrows what is the lighting hardware that you have on your Farmbot? The LED Lights we are using are Viparspectra LED Lights. @jberend these lights work pretty well for how we are using them. They are a bit pricey thou!